A Residual Voltage Device works with isolated power such as Generators and Inverters and monitors voltage leakage to earth and can be set up to monitor on Li only or both Li and L2 and will trip and R C B O before the voltage leakage reaches the 50V Touch Potential Voltage where danger to life and limb can occur whereas an R C D Residual Current Device which is designed for the MEN system and will not work with isolated power unless an E N B Earth Neutral Bond is created and this then may compromise the isolation integrity in a fault situation where the AC side can power the DC side with potentially fatal results. 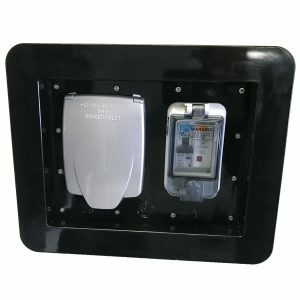 Residual Voltage Device/R V D®-E, R V D®-E I, R V D®-EM & R V D®-E M R. We reject reverse polarity from mains connections and protect the use of Generators and Inverters plugged into all vehicle requiring 240V power where R C D protection does not work. We are Australian Owned, Australian Designed, Australian Made and Supported with genuine Australian Warranty. 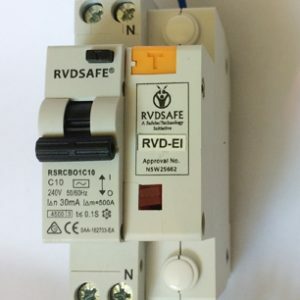 The “R” in E M R model indicates rejection of reverse polarity on mains power and the combination of R V D ®/R C B O -16A replaces the existing R C D/R C B O at the power entry to the vehicle adding protection for both mains power and isolated power . 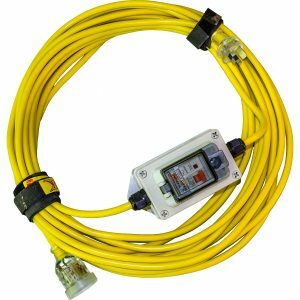 stops any potential damage from reverse polarity with your incoming power and allows you to ether swap the supply or move to a correctly installed site saving repairs and down time in accessing an Electrician and replacement parts if needed. The R V D® -E M R is also used with Combi – Inverter Chargers with mains bypass and one outlet so the R C B O handles the safety when on mains power and the R V D® handles the safety when on isolated inverter power. The RVD®-EI is for use with all straight Inverters and portable generators. The R V D®-E is a self activating unit with test and test buttons (No R C B O Needed) for fitment into some portable generators such as Honda 2EU .